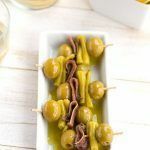 Gildas are Spanish aperitif made with olives, chilli pepper and anchovies. 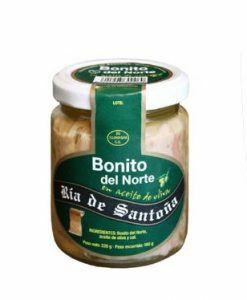 It has a slightly spicy taste. 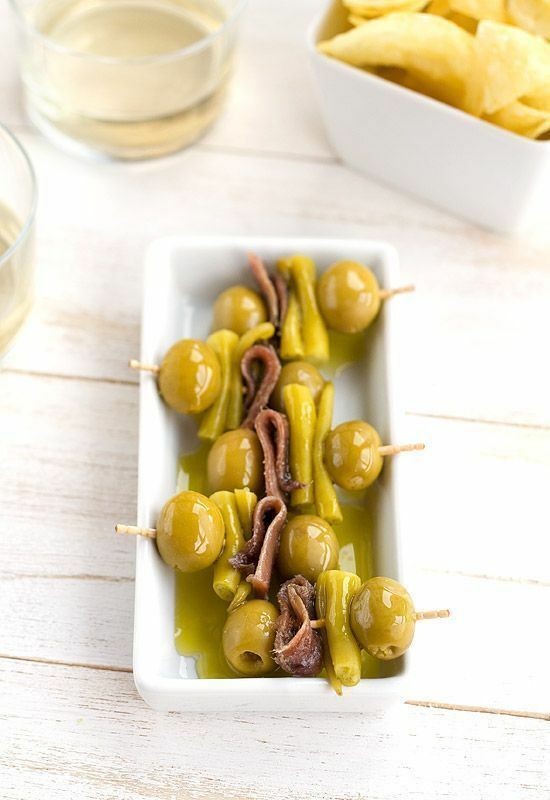 These gildas La Factoría del Mar stand out because they are one of the best valued and most consumed pickles in bars. 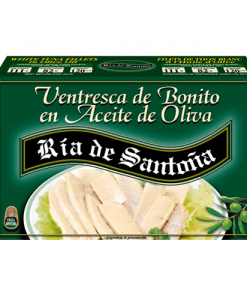 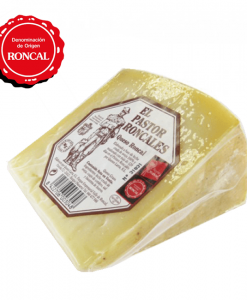 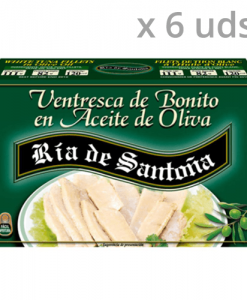 They are famous in the North of The Basque Country and Navarra but they are also famous in Valencia and Murcia. 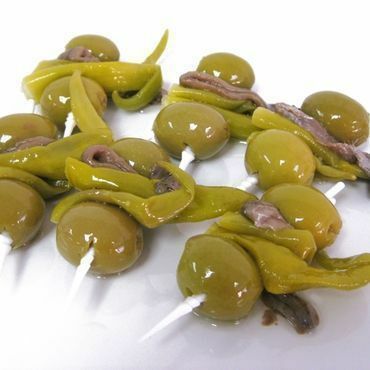 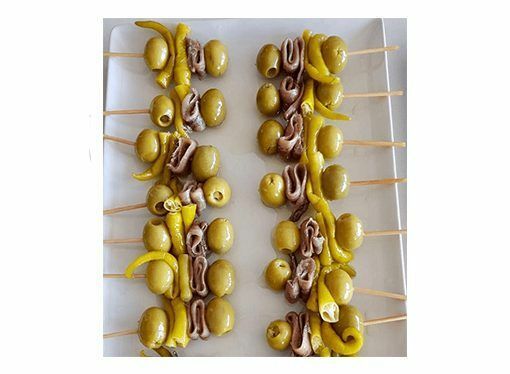 These gourmet gildas are made with Sevilian olives stuffed with anchovies, high quality anchovies and Basque chilli peppers from Guipuzcoa, also called guindillas that are pickled chilii. 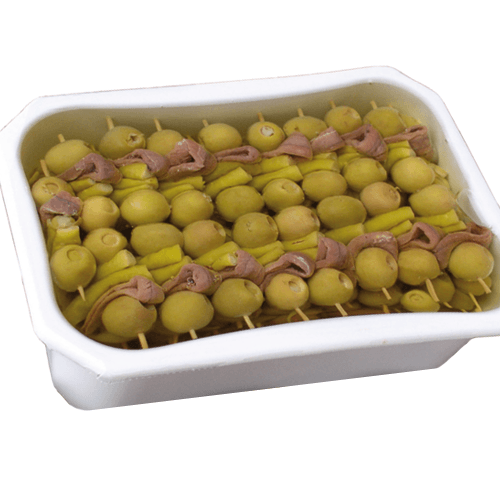 Gildas are perfect to go with beer or as starter.